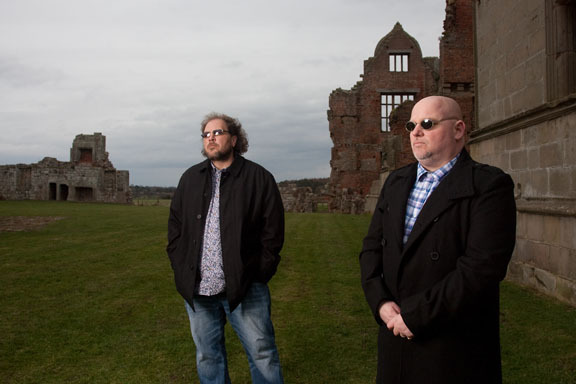 Allen and Douglas are a musical duo from Birmingham, who together, have been crafting songs since their teens. Strumming, singing and crafting songs in old railway stations and under canal bridges since their teens, the pair have developed a sound through a process of trial and error. While heavy on harmonies,there is something off-kilter or left-field about their brand of indie, exemplified by the magnificent ‘Eve’. The combined draw of scratchy guitar stabs (reminiscent of ’80s Billy Bragg) and reaching harmonies coupled leave a lasting, curious impression. Similarly excellent and distinctive are ‘Some Weird Armageddon’ and ‘My Head’s Talking Too Much’. With several hiatuses under their belt they record regularly in a small bedroom studio in Birmingham UK – their output is is both regular and rather astounding. You can check out some choice cuts from Allen and Douglas below and they regularly share new jams on their SoundCloud too.